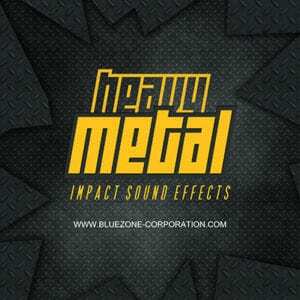 ‘Heavy Metal Impact Sound Effects’ from Bluezone Corporation contains a selection of 126 carefully recorded metallic impacts. 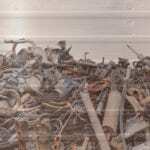 This sample pack offers a wide variety of different clanks and clunks: from big and weighty industrial container to deep and large fuel tank, old and rusty sheet metal to huge steel door, this hyper-detailed sample pack is a powerful addition to any contemporary sound design production. 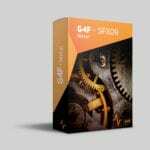 Moreover, all sounds in this collection are ready to use and perfect for all sorts of projects: the metal clanking and dropping sounds are carefully processed and can be easily used in modern electronic music productions. 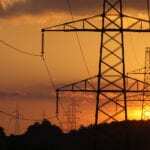 All audio files from ‘Heavy Metal Impact Sound Effects’ have been meticulously recorded at 24 bit / 96 kHz and are royalty-free, so that you can use them in your commercial projects without having to worry about any additional licensing fees.